Martyn has been conducting, writing and producing music for over twenty years. After studying Piano/French Horn and Composition at the Royal Academy Of Music in London, he opened a recording studio, producing music for T.V, film and Radio. A chance meeting lead him to assist on a production of Sweeney Todd which quickly lead to his first job as Musical Director. Since then he has been busy splitting his time between composing music and Music Directing for theater. After taking an opportunity to Musical Direct a show in Europe for 4 weeks, he stayed for 10 years. During this time he Music Directed Cats, Starlight Express, Jesus Christ Superstar, Bernstein Tribute, Hair and Rock Carmen. He also played, orchestrated and conducted many concerts all over Europe. Martyn was invited to London to conduct Starlight Express on the West End. He also became an adjunct Professor at the Royal Academy of Music In London for 2 years. He was awarded as an Associate of the Academy for his work there. After this he conducted the world premiere of Saturday Night Fever at the London palladium, which he then transferred and conducted on Broadway at the Minskoff. 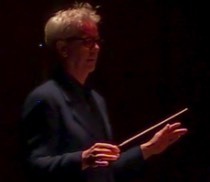 Martyn is now based in New York music directing, conducting and arranging in town and all over the world ranging from rock bands to the Royal Philharmonic Orchestra in London. Credits include School Of Rock, Roy Orbison Symphony Concert, Saturday Night Fever, Mamma Mia, Nine To Five, Tarzan, Dirty Dancing. He's also worked in Japan orchestrating and music supervising. Martyn also works in Los Angeles at the IMN studios where he arranges music for Movies, Concert tours and contemporary dance companies, as well as his ongoing commitment to music education by collaborating with children's theater organizations.